Krystal Joy Brown, Laura Bell Bundy, and Yvette Gonzalez-Nacer. All photos by Michael Lamont. When Reprise! Broadway’s Best closed its doors in 2012, musical theatre lovers heaved a collective sigh. 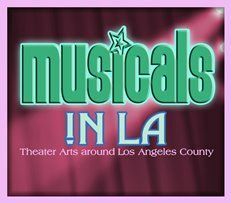 The resident company at UCLA’s Freud Playhouse had gained a reputation for producing outstanding performances of classic musicals featuring stars from the worlds of live theatre and television, similar to those done by Encores! in New York. Everyone felt the loss. Now, after a seven year hiatus, the company is back with a new name – Reprise 2.0 – once again led by producing artistic director, Marcia Seligson. 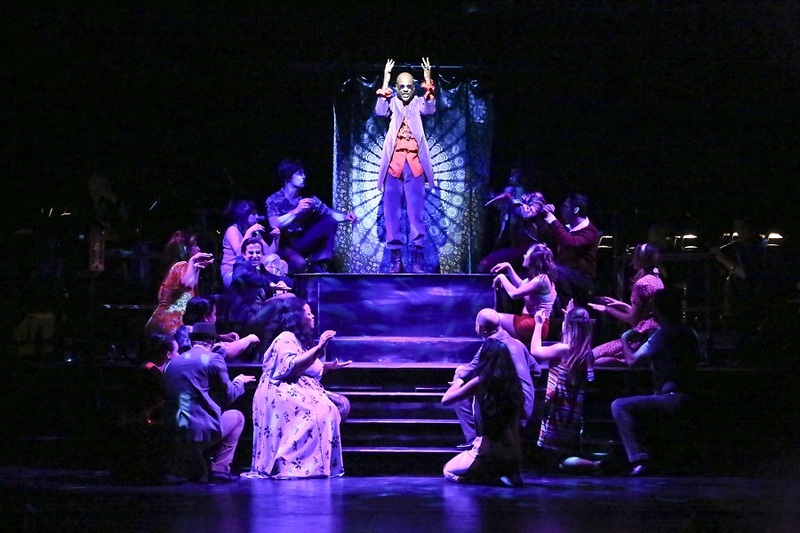 Met with an overwhelmingly positive reception on opening night, it proved how happy the community is that Reprise is partnering with UCLA’s School of Theatre, Film and Television to again celebrate a shared love of musicals. As its first production of the season, Seligson and her artistic staff have chosen a sparkling sixties classic by Cy Coleman (music), Neil Simon (book) and Dorothy Fields (lyrics) – Sweet Charity – that follows the mishaps of an optimistic but unlucky in love dance hall hostess named Charity Hope Valentine. The musical is based on Federico Fellini’s 1957 Italian film Nights of Cabiria, which starred his wife Giulietta Masina, and was originally adapted as a musical by Bob Fosse for his wife Gwen Verdon. Shirley MacLaine famously played the role in Fosse’s film version of the musical. 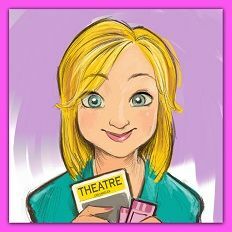 Reprise’s production stars Laura Bell Bundy (Broadway’s original Elle Woods in Legally Blonde) in an eternally-perky performance that doesn’t lack for enthusiasm but that proves a little too daunting for the singer’s stamina. The rehearsal period for these more modestly staged presentations is shorter than for a full production of the show so a great deal is packed into a short span of time. That may be why Bundy had difficulty controlling her voice during the performance. By the time she got to opening, she’d already blown it out and was unable to observe dynamics or reach the notes in her higher range. As if to compensate, she puts on an ear-to-ear grin and assumes an “aw shucks” self-deprecating manner that essentially turns the luckless leading lady into a bimbo in a giant Shirley Temple wig. It’s problematic because Simon’s dated book is already difficult to stomach. Charity is of an era where double standards for men and women were acceptable, and a woman was defined by her relationship to, or the absence of, a man, as well as by her perceived purity. But times have changed and the dialogue, as written, is definitely passé. Luckily, director Kathleen Marshall has choreographed dance numbers that are lively and full of effervescent charm, particularly the large ensemble numbers, “Rich Man’s Frug” and “Rhythm Of Life,” which capture the essence of Fosse on an abbreviated scale. The former is a stylized party sequence divided into three distinctly different parts (The Aloof, The Heavyweight and The Big Finish), and the latter is a crazy hippie revival that resembles a psychedelic acid trip. If you’ve never seen Sammy Davis, Jr. as Daddy Brubeck, Google him and watch it on YouTube. It’s fantastic. For Marshall’s production, it is a fabulous Terron Brooks who plays Daddy, a hep cat who leads a church service of questionable intent where the neurotic Oscar (Barrett Foa) takes Charity on their first date. In one of the best songs of the night, Charity’s pals Nickie (Yvette Gonzalez-Nacer) and Helene (Krystal Joy Brown) give the musical some good old guts and honesty in their duet “Baby Dream Your Dream” as they imagine the possibilities of life outside the dance hall knowing full well their pipe dream may never come true. It’s a welcome dose of truthful artistry in a production that spends most of its time selling itself as a frenetic song and dance show built on splash rather than depth. 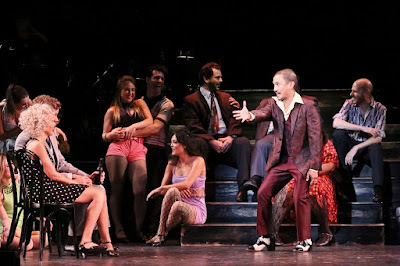 Their boss, a wonderfully flippant (and underused) Jon Jon Briones as Herman, turns “I Love To Cry At Weddings” into an upbeat comic going away party for Charity, who looks like she just might have a happily ever after, after all, by the end of the story. Alas, it is not to be, as Oscar, like many a schmuck before him, dumps her in the park where we first met her and she’s once again on her own. Music Director/Conductor Gerald Sternbach leads a 14-piece onstage orchestra from the piano that sounds great playing Coleman’s score. They’re nicely highlighted in full view on scenic designer Stephen Gifford’s streamlined stage, which uses projections to communicate where scenes take place, and lighting by Jared A. Sayeg and Brian Monahan to define the space within each locale. 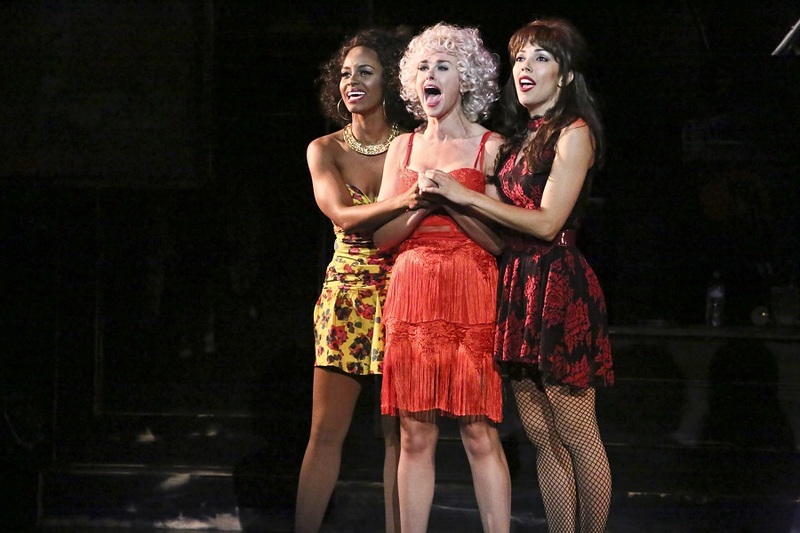 If you can look past the dated story line, or are a fan of Ms. Bundy, you’ll likely love Reprise’s presentation of Sweet Charity. We’re certainly glad to have the company back as part of the L.A. theatre season and look forward to their upcoming productions of Victor/Victoria starring Carmen Cusack directed by Richard Israel and choreographed by John Todd (September 5 - 16), and Grand Hotel – The Musical directed by Arthur Allan Seidelman and choreographed by Kay Cole (October 24 - November 4).